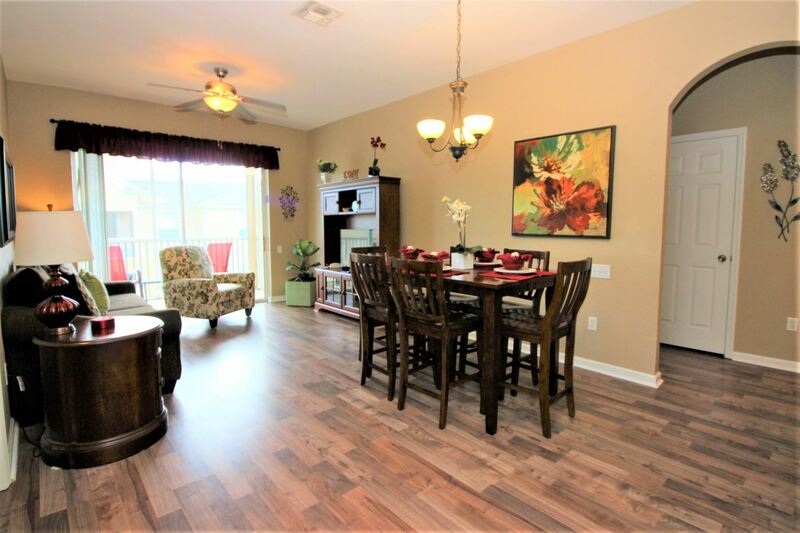 Windsor Hills is just off HWY 192, in Kissimmee, Florida and is perfectly placed for the shops, restaurants, fun and attractions that Orlando has to offer. Windsor Hills Resort is ideally located as a "home base" for other Florida activities including the Space Coast or the Gulf Coast. With 2 bedrooms and 2 bathrooms, this fully air-conditioned, family friendly vacation home is perfect for small families, couple or a few friends. 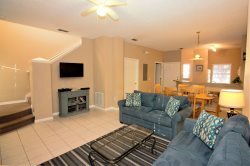 This Vacation Home has a spacious family room to relax in during the day or evening, and cable TV to enjoy your favorite movie. There is free WiFi available in the unit as well as at the community pool and clubhouse. The family room is open to the Dining room and the kitchen so that you can socialize while enjoying a great meal prepared in your own fully equipped kitchen. The floors in the living, dining and kitchen areas are all tile. Spacious sleeping accommodation awaits you with 2 bright and roomy bedrooms. The master bedroom has a queen sized bed and a TV. It opens onto an attached ensuite bath with a walk in shower. The second bedroom has a 2 twin beds, and it shares the hall bath. There is even a queen sleeper sofa, for when your group needs a few extra spots to lay their heads!